DB Sports Tours have always been extremely proud of our European Soccer Base in Salou, Spain. We have continually provided the opportunity for those to inspect the facilities at the Futbol Salou Complex, and from November 25-27 we are providing another such opportunity.. Coaches and staff members of football clubs are invited to inspect the Futbol Salou Complex for two nights and three days, where they will be given a first-class presentation of the facilities at the complex, as well as the coaching which can be provides at the facilities. The Futbol Salou Complex is overseen by Albert Vinas, previously a coach at RCD Espanyol. Albert looks to implement a Spanish style of football at the Futbol Salou Complex with possession and off the ball movement key tenets of his football philosophy. One special perk of this inspection visit is a trip to La Masia, the world famous youth academy for FC Barcelona. La Masia is famed for schooling the likes of Andres Iniesta, Lionel Messi and Xavi Hernandez, to name but a few. 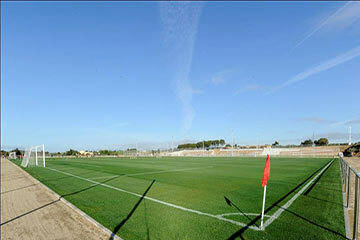 Many fine teams have passed through the green pitches of the Futbol Salou Complex in recent times. There has been Irish side Dundalk FC, New Zealand outfit Wellington Phoenix FC, Swedish club Malmo FF, and Spanish team Real Oviedo. You can check out a full list of teams who have taken visited the Futbol Salou Sports Complex here. The inspection visit is our way of showing interested coaches of how good and beneficial are Futbol Salou Complex can be for their teams. The facilities are first class, often used by Barcelona soccer schools, as can be seen here. If you are interested in this inspection visit you can contact paul@dbsportstours.com at our offices, Please note places are limited and this will be on a first come first served basis. While you’re here, why not check out the rest of our regularly updated blog here.